Sir Lynton Crosby, Boris Johnson’s campaign manager, was making final preparations for the formal announcement of Mr Johnson’s Tory leadership bid when his phone rang at 8.53 on Thursday morning. “Running what?” Sir Lynton replied. Gove: "Boris couldn't build the team to lead our country". Sir Lynton was stunned. With two hours to go until the launch of Mr Johnson’s leadership bid, Mr Gove, the man who was supposed to be making up the “dream ticket” with him, had not so much stabbed him in the back as run him through with a pikestaff. The Telegraph understands that Sir Lynton asked Mr Gove whether he had told Mr Johnson. He had not, but said he intended to. The call, however, was never made. By noon, Mr Johnson, the front-runner for the Tory leadership, was no longer a runner at all, ousted by what was being called a “cuckoo nest plot”. Having been comprehensively stitched up by his running mate and several other “supporters”, he threw in the towel, his ambitions in ruins. Watch Boris' supporters as he reveals he's not running for Prime Minister. Perhaps Mr Johnson should have seen it coming. The history of the Conservative Party is, after all, littered with the shattered careers of leadership front-runners who were knifed by their colleagues: Maudling, Heath, Heseltine, Clarke, Portillo, Davis. Mr Johnson’s most loyal friends were apoplectic. One described Mr Gove’s behaviour as “utter treachery”, and suspicions quickly surfaced that Mr Gove had intended all along to use the popular Mr Johnson to win the referendum vote before ambushing him at the last moment. Gove: May shouldn't be PM as she didn't back BrexitPlay! "Gove is a ---- who set this up from start,” said one, bluntly. Could they be right? It is no secret that Mr Johnson had been broadly supportive of Europe before the referendum campaign began, and that David Cameron had expected to rely on his support for Remain. Boris Johnson rules himself out of Conservative election race. Mr Johnson, though, fell for the persuasive powers of a certain Michael Gove in deciding he was, after all, in favour of leaving the EU. At what is rapidly becoming an infamous dinner party at Mr Johnson’s home on February 16, Mr Johnson, Mr Gove and their wives sat down with the newspaper owner Evgeny Lebedev to discuss politics. Mr Gove’s wife Sarah Vine described how: “Boris was very agitated, genuinely tortured as to which way to go.” It seems that by the end of the night Mr Gove, a lifelong Eurosceptic with an “obsession” for getting Britain out of Europe, had persuaded him which side of the fence he should come down on. Mr Johnson knew he was risking everything, but the potential prize was too tempting to ignore: win the EU referendum, and the keys to Number 10 would surely be his. Once he had committed to the cause, Mr Johnson was a formidable campaigner, with his uncanny knack of connecting with voters of every background and every hue. Yet doubts quickly surfaced about just what Mr Gove was up to. On the first weekend of the referendum campaign, Mr Gove and Ms Vine were not getting down to work with Mr Johnson, but spending the weekend at Dorneywood, the Chancellor’s official country residence, as guests of George Osborne. Perhaps Mr Osborne, a keen chess player who loves few things as much as political plotting, was already making his own arrangements for what might happen if the Brexit vote went against him. Mr Gove carried on preparing David Cameron for Prime Minister’s Questions. He had weekly dinners with Mr Osborne. Mr Johnson surely wondered why. He got part of the answer on Sunday, when Mr Gove’s camp briefed journalists that Mr Osborne could remain as Chancellor in a Boris Johnson Cabinet. Mr Johnson dismissed the claim out of hand, but it was the first outward sign of serious differences in the victorious Leave camp. Tension had started building the previous night in a phone call between Mr Gove and Mr Johnson. Mr Gove “demanded to be chancellor” in a Johnson government, according to one source. Mr Johnson agreed, but drew the line when Mr Gove said he wanted his chief of staff to be Dominic Cummings, his former special adviser at the Department of Education and a key strategist in the Leave campaign. Mr Cummings is a controversial and at times divisive figure, and Mr Johnson put his foot down. There were further suspicions that Mr Gove was playing games when the Leave campaigners came together at Mr Johnson’s Oxfordshire home at lunchtime on Sunday. ITV News cameras showed up to film people arriving, and one journalist let slip that they had been tipped off by Sarah Vine. Still, Mr Gove was saying all the right things. He told Mr Johnson: “I do not have what it takes and I do not have the qualities to be prime minister.” No danger there then. On Monday, though, Mr Johnson provided more evidence of differences among Brexiteers with a Daily Telegraph column that claimed Britain would remain a member of the EU’s single market. Leave campaigners began to think that Mr Johnson had gone soft on Brexit, though sources close to Mr Johnson insist the article was co-edited by Mr Gove. Was he setting Mr Johnson up for a fall? Mr Gove and, as we now know, his wife considered their next move. With a meeting between Mr Gove and Mr Johnson in the diary for Tuesday, Ms Vine emailed her husband to say: “You MUST have SPECIFIC assurances from Boris OTHERWISE you cannot guarantee your support.” The email was leaked to Sky News after being “accidentally” sent to a member of the public, making the rift between the two men front-page news. 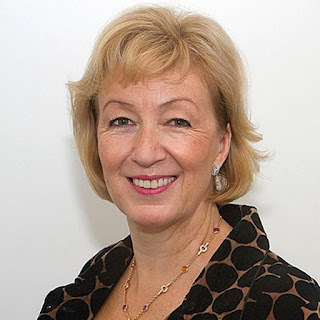 Wednesday brought an even more significant meeting, this time between Mr Johnson and Andrea Leadsom, the highly-regarded energy minister and Leave campaigner. 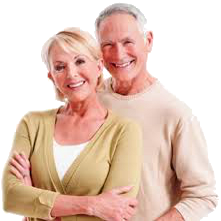 Mr Johnson and his key ally Dominic Raab had been hoping to convince her to give up her own leadership ambitions and throw her weight behind his campaign. Mr Johnson left the meeting believing he had succeeded. Insiders said Ms Leadsom had signed a letter supporting his leadership bid. She would be unveiled as the big surprise at his launch event the next day, with Mr Gove introducing her as the newest convert, and Ms Leadsom introducing Mr Johnson. The invitations to Mr Johnson’s launch event were duly texted to journalists by Mr Gove’s special adviser Henry Newman. That evening, the Conservative Party’s Summer Ball was held at the Hurlingham Club in London, and there was, of course, only one topic of conversation. Mr Johnson had 97 MPs unofficially backing him by then, but his supporters were worried it would not be enough if the Tories’ 200-plus other MPs united behind a “stop Boris” candidate. Blamed for engineering the Brexit that so many of them never wanted, he had become a hate figure for many. Mr Cameron used the ball to make a speech in which he thanked his predecessors for their support, and hoped his successor would enjoy the same relationship (knowing full well that Sir John Major had told the Andrew Marr programme that Mr Johnson should not be PM). After the ball Mr Gove and his wife returned to their home in Ladbroke Grove, west London, with Mr Gove’s three special advisers Henry Cook, Henry Newman and Beth Armstrong, as well as a surprise guest: Nick Boles, the business minister and key Boris backer. At 5.30pm that day Mr Boles had been at the home of Nigel Adams MP, busily working on Mr Johnson’s leadership campaign. At 11.30pm, according to one report, he was seen helping Mr Johnson into his car after the summer ball. Now, as midnight approached, he was deep in conversation with Mr Gove, conspiratorially discussing whether Mr Johnson was a busted flush. According to one account, Mr Boles and Mr Gove also knew by then that Ms Leadsom had changed her mind about backing Mr Johnson. I have come, reluctantly, to the conclusion that Boris cannot provide the leadership or build the team for the task ahead. Mr Gove said Ms Leadsom’s decision, coupled with Mr Johnson’s “Brexit lite” stance in his Telegraph column, had convinced him that Boris had to be stopped, and that he was the man to do it. Mr Boles, the first to be told by Mr Gove that he was going to run against Mr Johnson, instantly switched his backing to the Justice Secretary and agreed to chair his campaign. 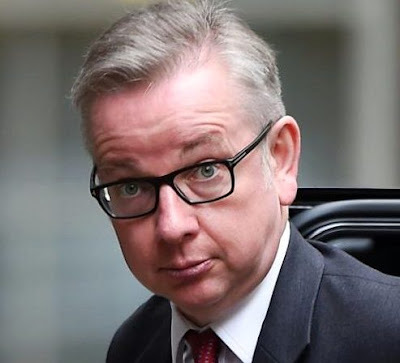 Others involved in discussions about Mr Gove running are understood to have included Oliver Dowden, Mr Cameron’s deputy chief of staff until he was elected an MP last year; the former Tory front bencher Lord Maude and Lady Finn, a personal friend of Mr Cameron and Mr Osborne. Mr Gove and those closest to him agreed that Mr Johnson’s team would be called at 9am on Thursday. By 9.02 they had emailed journalists to make the formal announcement of Mr Gove’s candidature. Mr Johnson is understood to have known nothing until he heard it on the news. In Westminster, lobby journalists were reminding each other of Lenin’s famous comment that: “There are decades where nothing happens, and there are weeks where decades happen.” Except in this case, the time frame was hours, not weeks. With two hours to go until Mr Johnson’s launch event, support for him was starting to collapse. Dominic Raab MP, who had authored an article in that day’s Sun newspaper lauding Mr Johnson as a “natural born winner”, announced he was switching to Mr Gove. Sources have told The Telegraph that Mr Gove had told Theresa May about his intention to run even before he told Sir Lynton Crosby, such was the cold-bloodiness of the ambush. 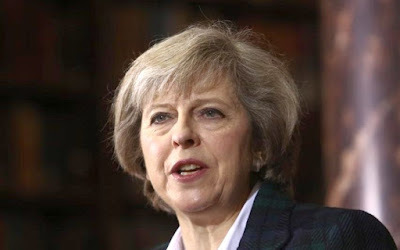 Mrs May looked understandably chipper when she launched her own leadership bid at 9.30. To a standing ovation from around 50 MPs, she entered the room at the Royal United Services Institute on Whitehall dressed from head to toe in tartan, to appeal the better to Scots angry at the Leave vote. She talked about people in Westminster who did not understand what it was like to struggle for money and who needed reminding that politics “isn’t a game”. She was not, she said, a “showy” politician enamored of “gimmicks” (instantly conjuring an image of Mr Johnson dangling from a zip wire), she did not go drinking in the Commons bars or tour the TV studios, “I just get on with the job in front of me”. No-one needed subtitles to explain who she was referring to. Mrs May also knows that the most devastating thing you can do to an opponent is to turn them into a laughing stock. Asked about her ability to negotiate with Angela Merkel, Mrs May listed her own statesmanlike achievements in Europe, then added "Boris negotiated in Europe. I seem to remember last time he did a deal with the Germans, he came back with three nearly-new water cannon." The room erupted with laughter. Over at camp Boris, MPs were withdrawing their support by the minute. The 97 backing him were now down to 47, and Mr Johnson’s team realized they had been undone by what they referred to as a “cuckoo nest plot”. For months Mr Johnson had nurtured Mr Gove’s grand plan for Brexit, only to be kicked out when it finally hatched. “Boris took the view that he did not want a nuclear war in the Conservative Party between him and Michael Gove,” said one insider. “It would split the party." Boris Johnson announces his leadership ambitions are over,gasps, then tears. He could muster just 25 MPs to attend his announcement, all of whom arrived in the Cloister Room at St Ermin’s Hotel thinking they were backing the next prime minister. None of them had any idea of what was about to happen. 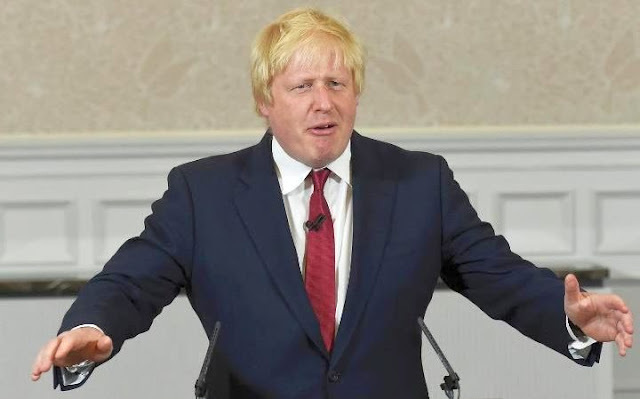 Mr Johnson borrowed from Shakespeare’s Julius Caesar at the start of his speech, paraphrasing the words of Brutus as he said now was “a time not to fight the tide of history but to take that tide at the flood and sail on to fortune”. For those paying attention, Brutus’s words were a subtle hint. Et tu Michael? Then fall, Boris. The next Tory leader, he said, would have to unify the party make Britain stand tall in the world. “What? !” spluttered some of the MPs who had turned out to back him. Others gasped, some began crying. Mr Johnson did not wait for questions at the end of his speech. He left the room, using a door whose emergency exit sign had shrewdly (and probably illegally) been covered up with white card by his team to avoid the obvious photo opportunity. Later in the day Mr Gove spoke to the BBC to explain his actions. He said that: “In the last four days I had a chance to see up close and personal how Boris dealt with some of the decisions we needed to make in order to take this country forward. During that period I had hoped that Boris would rise to the occasion… but I saw him seek to meet and not pass those tests. “I also thought ultimately, can I recommend to my friends that this person is right to be prime minister?” The answer was no. Not all of them seem willing to listen. As Mr Gove entered the Members’ Tea Room in Parliament on Thursday afternoon, there were no cheers or applause. Politics is indeed a dirty business.